A minisite hardly needs any introduction in this age of digital marketing. These sales-oriented websites are less voluminous and used to generate more convertible traffic. The minisites include only a few pages – often limited to just one or two – and call-to-action features that encourage the visitors to leave their information on the pages. The minisites may or may not be linked to the original websites. A minisite design is very important as its look creates the first impression on the prospective buyers. If the design is attractive, the visitors take interest in the product/service whereas an unprofessional appearance could result into little or even no return on expenditure. I guess you are a beginner and don’t have financial muscle power to hire a top-class graphic designer to build up your minisite. Do you have time to create it yourself? You need to have technical expertise. An idea about how to use Photoshop tools is important. Have you ever created a minisite or at least, designed something with help of Photoshop? If no, don’t waste your time to design your own website. It will not only take a lot of time but you could also end up squandering your valuable time and getting no result. Think about another alternative. It is also a DIY project but will not require you to be a graphic design pro. You just need to have an eye for beauty and keen sense of what a professional minisite should look like. There are plenty of templates available online. You need to decide which one of them will suit your purpose. There are many who will be using the same template. Therefore, you need to lend a twist to the template so that the final creation looks unique. The prospective buyers will not love the idea of visiting a minisite, the twin of which they have already seen at some other web address. If you manage to afford money to hire a designer, it will surely be a good idea. An expert does a great job and fully justifies the money you spend on the person. They have wealth of experience and already built several minisites. They have handled different projects and know what it takes to ensure an impressive and effective minisite design. They create a look that is unmatched, innovative and eye-catching. Creating an immersive experience for the buyers is what the designers are focused on. However, they never ignore other important aspects that could drive traffic to the minisite. Those features include relevant images, catchy content and use of right keywords. A minisite designer must not limit his focus to only an appealing look and also consider SEO factors for good ranking of the site in the search result pages. A minisite is created to promote only a single product or a range of related products. It is designed to generate sales and not to inform the buyers about what more you have to offer or educate them. An ecover is a digital representative of the product on sale. In recent times, digital covers have shot to prominence due to rising popularity of online marketing. 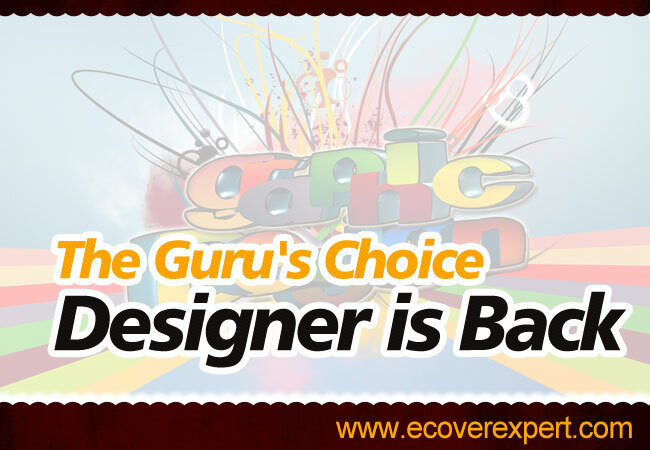 With rapid swelling in the number of e-visitors, there has been added importance to ecover designing. The professionals, who design ecovers, have expertise in software applications used for this purpose. Some are armed with more expertise and experience, which make their works excellent than others’. If you are in need of a captivating and relevant digital cover page, you should go with an ecover expert. 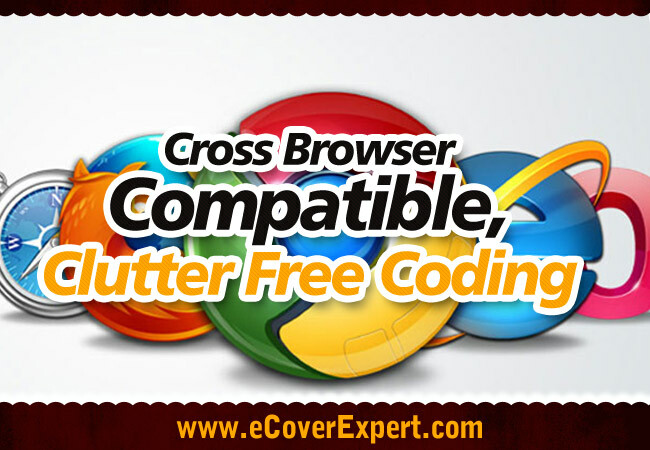 There are different kinds of software applications to create a stunning ecover page. However, Photoshop is the most popular among all common apps used by the designers. The software app includes more features to design a unique, absorbing and functional look that can convert glance into stare that ultimately leads to more ROI in a chain-wise action. All designers cannot be equally efficient to designing ecovers. Some are better than others. Those, who have just started out, have little exposure to the challenges. The customers always prefer a stand-out and customized look. Everyone has a different requirement depending on the type of product to sell, their own preference and budget earmarked for the purpose of ecover designing. Remember that everyone is not equipped with the right kind of skill to deal with your unique personal preferences and needs. Gems are always a few while mediocre professionals are a preponderant majority. With full assessment of your requirements, taste and budget, you should go for hunting a great designer who is worth every penny of your hard-earned money. Every investment is made to reap benefits i.e. return. Investment on ecover designing is important as a digital cover gives the potential buyers a fair idea about your product and how good it is. If they like the cover, it is more likely that they will take interest to buy your product. True it is that all those taking a glance over the cover page will not turn your customers in immediate future, but conversion even on a tiny scale can see a massive return on the sales chart. The more exciting and relevant your digital cover page is, more will be the return on your spending. First impression always matters and good look creates the first impression more effective on the buyers’ brigade. Generating curiosity is the first thing the ecover experts should try to achieve. If an ecover clicks with the prospective buyers, half of the job is done and the rest will happen ultimately. The expert graphic artists make it sure that what they create are unmatched in appeal. With their creativity soaring up to sky height, they are always capable of churning out the best thing for their customers, according to the budget and requirements specified. 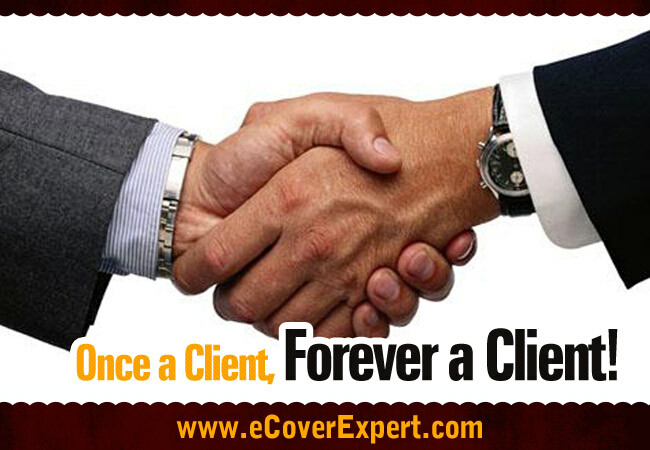 Ask your friends in business circle or turn to internet in search of ecover professionals and you will not be disappointed. A discerning and professional ebook design can see a larger number of bookworms purchasing your books. An ebook is a digital product and it needs a good-looking cover as a part of marketing strategy to reach out to more and more of the target customers. The ecover is one of the most important aspects of any ebook. It drops a hint for the prospective readers as to what to expect from the book in terms of its subject. The readers also do some kind of guesswork from the design of an ecover as to quality of the content. Every publisher and author wants the readers to be never short on words of appreciation for their ebooks before and after purchase. So, for your ebook to sell well in the market, it is important to craft a relevant and enticing design for its ecover. It is a proven fact that use of a good ecover design will see the rate of conversion leapfrogging considerably. For that to happen, you must ensure to meet three most important attributes. First of all, the cover page must be engaging. A touch of creativity will make it look pleasing and up the perceived value of the content it presents. Secondly, given such high importance of ecover, you must not rush through the details of design. There are several aspects of an ecover, including size and style of fonts, selection and placement of images as well as a good title and all these demand focused attention, well-composed plan and its precise execution. The size of the fonts should be such that it does not hamper easy readability. Images must not cover the full extent of your ecover and should be ones that go well with the subject of the digital product. An ideal design for ecover page must not look cluttered and must be in complete sync with the content. Thirdly, the readers will get attracted to your ebook only when the design is made appealing and professional and the content is good. Both look and quality of your ebook design play an important role to earn you more customers and push up the conversion rate to an indefinite high. This is less touched-upon subject as most of the designers, marketers, publishers and even authors are more focused about what comes first in the visibility of the viewers. However, the inside look must be in relevance to the written content and must not overwhelm the appeal of the upper cover in any way. Take a pick from the set of primary colors for the fonts. This is because, fonts in primary colors are more readable and readability is an important aspect to step up the conversion rate. Choose an ebook layout featuring space for a table of contents that can be clicked individually. This feature will allow your readers to directly reach the sections they want to read instead of voyaging through lots of contents they have no interest in. A minisite design is a small Web site with a narrow subject focus or few pages that is sometimes a section in a larger Web site. Similar terms are micro site and site let. Typically, a minisite has a separate identity and users are encouraged to link to it directly. There’s no denying that the students of today are well in touch with the ever-changing tide of technology. With continuous advancement of gadgets and technology, and the era of information on demand, today’s students would be unrecognizable to those who studied in the 1970s. The minisite is a blog or a simple Site. 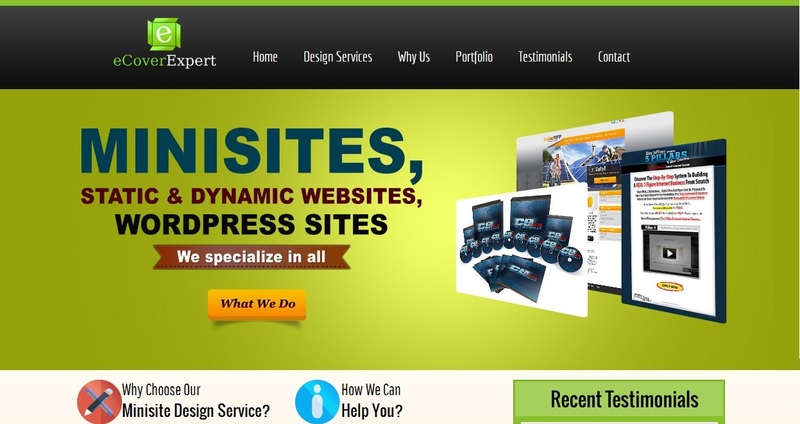 The design has a theme: anybody can choose a theme and modify it easily after Mini Site creation. They can also reload a new theme for the mini site. For themes they use collective which permits to change some skin properties, to add a css in a skin, to overload static view and to select which dynamic view they want to display. The Minisite design is using a specific Folder called Photo Album used to show images. To upload images quickly in Photo Albums collective.uploadify is used. When people are doing business online, people cannot see them physically like how they could if they were dealing with an offline company. Hence, people do judge them by their covers and blogs. This is where a good design comes in. Whether they need an eCover to give their product sales a boost, or they need a complete Minsite design package ready for their next big product launch, they are ready to handle all their requirements. Every company seeks virtual visibility these days. Be it a small company or big, a company tries to gain presence in web, as internet has become an effective medium of business for both sellers and buyers. But it is not everyone’s cup of tea to have a high-end website to showcase his business. So those who want to market their business in a pocket friendly way must try an effective design as they are truly capable of making the buyers interested in the products of the seller. A minisite design is often found effective in advertising and selling a single specific product of the website as well as the company owner and basic minisite template is efficient in generating business than a website that is traditionally made. Minisites are easy in appearance yet they are the examples of creativity and new thinking. A minisite includes some important elements. Creating Graphics for Minisite Design attractive graphics are a part of any Minisite design. More than words, it is image that creates the first magic and stamps the first impression on the visitors’ mind. And who not knows that first impression works wonder to influence the target audience to stay on the website, return to it and make a purchase after a few visits. Every website is meant to bring traffic, generate leads and convert them into visitors. Use of fascinating, realistic and relevant graphics is instrumental to minisite design success, making your dream come into reality. Hire a Designer If anybody want a unique and eye-catching design for their Minisite, the first aspect is all about creating graphics or selecting images. There are several channels of online marketing and minisite is one of them. It is lot like traditional websites but there are several differences between them, which outsmart their similarities. Minisites feature lot of images and less of descriptions as the solitary goal of the website owners is promotion of a particular product/service and not the branding of business. Over the years, minisites have become an effective marketing tool used by both business Godzillas and small fishes in the industry alike. A minisite design takes little time if compared to full-fledged websites. However, that belies lot of works and thoughts that go into making of these mini websites. Given sky-high importance of minisites, you must get the design done by only an expert having truckloads of experience in the same field. Let us now glance over some essential features that must be present in a good graphic designer. These are the yardsticks and you must consider them before hiring someone for your minisite work. Artistic Skill: All graphic designers are not artists. Many of them just do the ‘copy & paste’ work, inspired by original works though add a little ‘touch & twist’ of their own to avoid copyright issue. Some are also expert at ‘mix & match’. However, their works do not show signs of promise that your minisite will be unique and replete with creative touches. Only a few of the flock have creative firepower and explore their imagination to design what never matches anything from run of the mills. Their creations are not only fresh but also fascinating, relevant to your product/service and highly effective in a sense that these earn your website traffics in loads. Sense of Colours: Right selection of colours ups the look of your minisite design and the opposite becomes a spoiler. Too many colours make your minisite look like a rainbow but it will, unlike the celestial phenomenon, never receive appreciation from the target consumers. Use of colours must reflect the designer’s sense and sensibility. As the site is mini in size, the designer must not play with too many colours. In fact, only two or three colours will serve the purpose. Colours should be in relevance with your product/service and in striking contrast with each other. Knowledge about SEO: What is the relation between marketing via minisite and SEO (Search Engine Optimization)? Your online marketing effort will bit the dust if the minisite fails to rank well in the search engine result pages. An expert designer knows how to create a search engine friendly minisite. He will give all the solid punches to your minisite to make it top the list of the search result pages. Experience: It is, though not always, is an abstract scale to measure efficiency of a minisite design specialist. Spending years in the same line polishes one’s sense, nourishes one’s sensibility and hones up one’s skill. However, sometimes a newbie creates a stunning design but that is not very common. So, rely on one’s experience; you will be sure that things are in a trusted hand. There are good many businessmen like you who operate online and spend lavishly for marketing purpose. However, at the end of the day, they get no remarkable return on their investment. A lot of people are going through the same predicament. You may be firm in your belief that your digital product has perfect packaging and great utility to the potential customers and that will leave you wondering why the return is so poor on your investment. 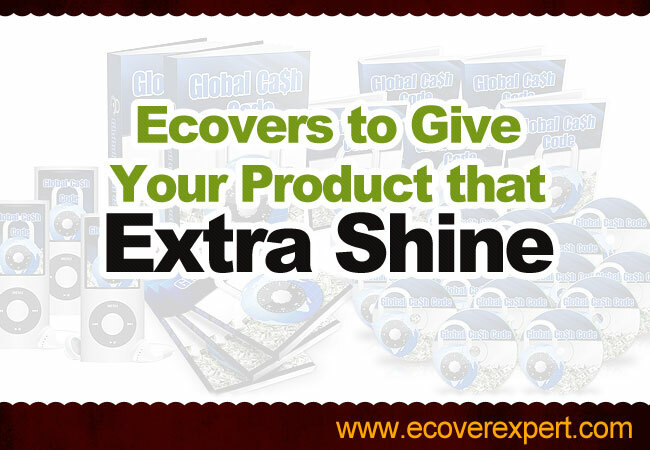 It could be due to one most important aspect that you have overlooked – ecover design. It is unfortunate that many online entrepreneurs are yet to be familiar with importance of digital cover design. You need to understand that a decent design gives a professional look and credible appeal to the prospective consumers. You will come in for pleasant surprise to know there will be a significant swelling in traffic taking interest in your offer and spending money for the same. Majority of the people browse through available products while looking for what they want. Even if two people sell homogenous products, one of them will surely enjoy great advantages over other just because of adopting a smart marketing strategy. Common search and buying pattern establishes it clearly that the prospective consumers are often influenced by what catches their attention and is considered worth spending. Nothing comes free in this world! 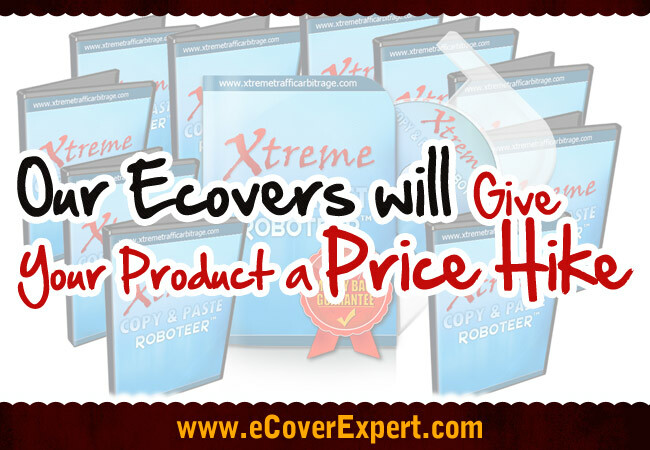 So, it is hard to believe that ecover design service can be available free of cost. Primary investment on graphic design software is what you require to enjoy design service for a long time. And remember that you don’t need to spend a fortune to buy software though it will pay dividends for years to come. However, you can avoid spending that small amount by going with free ecover layouts. These are galore online and you have complete freedom to make a choice specific to your requirements. For a professional touch to your project, it will be wise to hire service of an expert graphic designer. It needs no mention that an experienced designer’s service will not come easy on pocket. Having skill and knowledge in using graphic design software for ecover design, an expert can produce an output that is unique, excellent, relevant and professional. If you have just started, you may want to save money by not leaving your project to a skilled designer. If you have knowledge of designing an ecover, you can put your skill through the paces to find out what comes out finally. Are you satisfied? If yes, carry on; otherwise choose from layout designs and once your business grows, hire a designer to give a fresh twist to existing cover. In fact, you should request him to start afresh. He has skill to create what could bring your more sales. It is worth spending time, money and effort on creating an ecover as it could spearhead your marketing campaign. Furthermore, that investment will boomerang back with a good return. Beauty and Brain – that’s a rare combination! We have heard it many times. Let us give a little twist – elegance and effectiveness are rare to see in an ecover design. I will not oppose to the claim as many marketers are too much focused on the feature of ‘interactivity’ that they forget to consider ‘aesthetic appeal’ of cover designing of a digital product and vice versa. So what to consider while creating a digital cover? Obviously, there are many aspects not to bypass as the cover design is what first hooks customers’ attention. It must not be denied that quality is the ultimately determining factor if your product will rot on the shelf or fly off the same, but the visitors will chose to test quality only if they find the cover or packaging interesting. Let us now examine what must be incorporated into cover design in order to ensure massive exposure for your business. Graphics: Cover without graphics looks monotonous and meaningless. Just imagine your product is draped by a cover in red, white, blue or whatever colour combination you like. Do you think without graphics, it could arrest target customers’ attention? NO, you will scream! If your own cover page does not fascinate you, how will it be able to tempt others to unzip their wallet? Gathering graphics and placing them on the digital cover never make sense. Things are not easy and a lot of thinking and planning precede precise execution. You must be careful about what to choose and where to place. 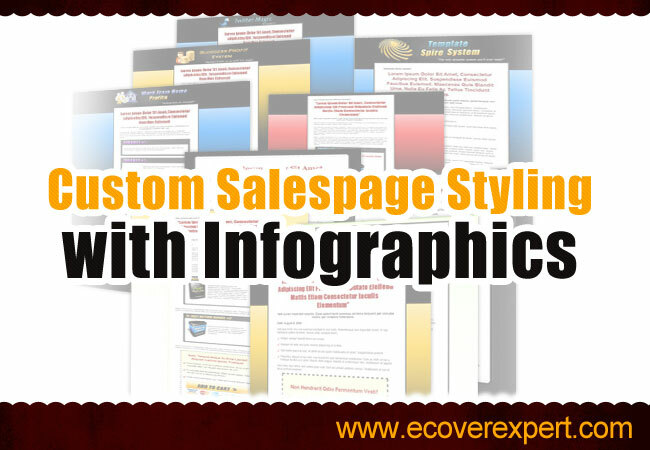 Graphics that are not relevant to your product must not be integrated into the ecover design. However, the relevant graphics are galore and so you are again challenged as what to use. Think yourself as one of your prospective customers and judge a particular graphic from that angle. Does it make sense? Does it impress you? Does it make a professional presentation of your product? If YES, go with it; otherwise it takes just a fraction of seconds to cool down one’s interest. Colour; Personally I like human figures and faces in ‘Black & White’ but then ecovers are not about photography and without colours, the design will never flatter the potential buyers. Use colours that rightly reflect your product within the cover. Never use too many of them as it will make the cover garish and not great. Remember that as per the trend, simplicity is admired whereas heavy work is ignored. Title: Like graphic images, title too needs to be catchy and in keeping with what purpose your product will serve. Is it an ebook, a video game or a CD? The graphics as well as tagline must be self-explanatory. The title of a fiction book must be different from a non-fiction write-up. The title must be such that it will inspire the potential customers not only to take a second look at the product but also to feel tempted to use the same. Graphics in combination with the title must have enough firepower to trigger interest of the potential customers and allure them to spend on the product.